Mikey Fuller | Interiors: Shabby Christmas--Featured In Romantic Homes Magazine! Shabby Christmas--Featured In Romantic Homes Magazine! 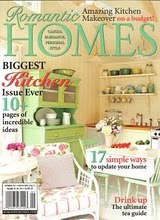 Look for my article in December 2012's Romantic Homes Magazine with plenty of tips and sources for decorating for Christmas using our favorite subdued shabby chic colors! For more details, keep reading.